Next month, Star Trek: The Next Generation turns 30 years old. Never missing a chance to give Trek fans that hit of nostalgia, Cryptic Studios and Perfect World Entertainment today announced that LeVar Burton would be lending his voice talents to Star Trek Online, taking on his familiar role of Geordi La Forge in the game’s next two updates. 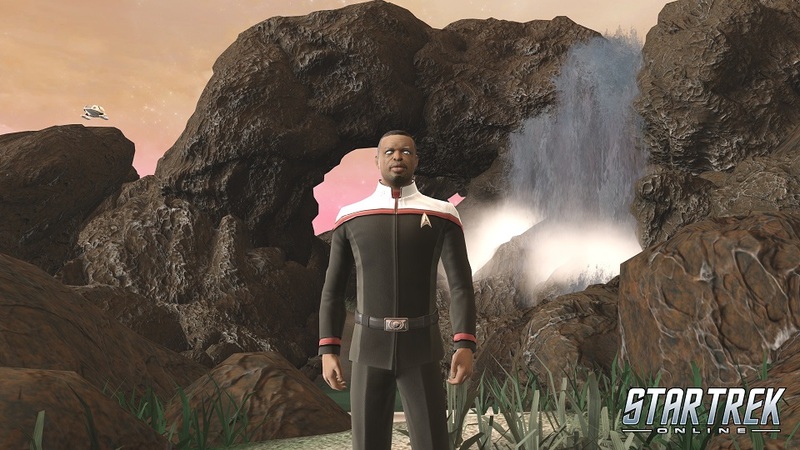 The September update, “Beyond the Nexus,” will see players team with Captain La Forge to investigate a Galaxy-class ship — the same as the U.S.S. Enterprise-D — whose crew has been mind-controlled. The release of that episode will correspond with the celebration of TNG’s 30th anniversary, with server-wide giveaways and special TNG-themed items for sale in the store. In October, Season 14 — Emergence kicks off, continuing the war with the Tzenkethi and players’ collaborations with La Forge and Captain Kuumaarke, voiced by Kipleigh Brown. The update also includes a Tzenkethi Red Alert, two new fleet holding defense queues, a new colony map special event, and a Primary Specialization called the “Miracle Worker,” which we’re guessing is keyed toward engineers. The trailer for the new content, below, also hints at some Jem’Hadar shenanigans, with the tagline “Victory is Life – Summer 2018.” It looks an awful lot like “The 2800” storyline from a few years back, when time-displaced Jem’Hadar emerged from the Bajoran wormhole to wreak havoc on Deep Space 9 and the Alpha Quadrant. It seems as if we’ll have to wait until next year to find out just what’s in store.